Along the Yamuna River in the Northern state of Uttar Pradesh lies India’s religious and ancient destinations. This Agra Mathura Vrindavan tour from Delhi gives you one such opportunity to explore these divine locations. Agra Mathura Vrindavan tour from Delhi lets you explore culturally rich Mathura, historically significant Vrindavan and ever romantic destination, Agra. A trip to Mathura takes you to Lord Krishna's birthplace and transcendent pastimes. The vibrations of his spiritual powers can still be felt in this divine land. While Mathura is home to a hundred temples of Lord Krishna, Vrindavan is popular for making its visitors disappear into the pages of history. Moreover, Agra is home to the evidence of true love- the Taj Mahal. On this Agra Mathura Vrindavan tour from Delhi, you will be drawn closer and offered an open window into the life of Lord Krishna. If this is enough to stir the excitement in you, browse through our detailed itinerary and book your Agra Mathura Vrindavan tour from Delhi now! Your Agra Mathura Vrindavan tour from Delhi commences with your arrival in Delhi. A short drive of 3 hours from the airport will take you to Mathura. After reaching, you will check in at the hotel. Once you have had lunch, set out to explore this sacred place. The place carries both religious and historical significance and there are plenty of holy sites to start off from.You will majorly visit the temples that can be found in abundance here. Visit the Dwarkadhish Temple first. It has an interesting architecture that you can behold. Next, visit the Gita Mandir. The sacred Bhagwat Geeta is inscribed on the walls of the temple. Sri Krishna Janma Bhumi is another site to visit on your Agra Mathura Vrindavan tour from Delhi. It is the land where Lord Krishna was born. Moreover, visit the Vishram Ghat where Lord Krishna rested after his conquest of the tyrant Kansa. After a long day of exploration, head to the hotel for dinner and an overnight stay. On the second day of your Agra Mathura Vrindavan tour from Delhi, have a healthy breakfast and set out to explore Vrindavan. Vrindavan is just 15 km. away from Mathura. Lord Krishna spent his childhood days here. Moreover, the popularity of this place is because of the stories of Lord Krishna’s eternal love for Radha. There are plentiful temples dedicated to Radha-Krishna love events. Visit the Shri Banke Bihari Temple. It is a popular shrine among the disciples. Next, visit the oldest temple in Vrindavan called the Madan Mohan Temple. Soak in the views of the old structure that has put up with the test of times. Other temples of prime importance are the Prem Mandir, ISKCON temple and the Vrindavan Chandrodaya Mandir. These temples houses most beautiful idols of Lord Krishna and Radha and are an architectural masterpiece. After a spiritually mind filling day, you return to the hotel at Mathura for an overnight stay. The fourth day of your Agra Mathura Vrindavan tour from Delhi marks the end of the spiritual trip and the beginning of historical adventures. Post breakfast, take a short one hour drive to Agra. 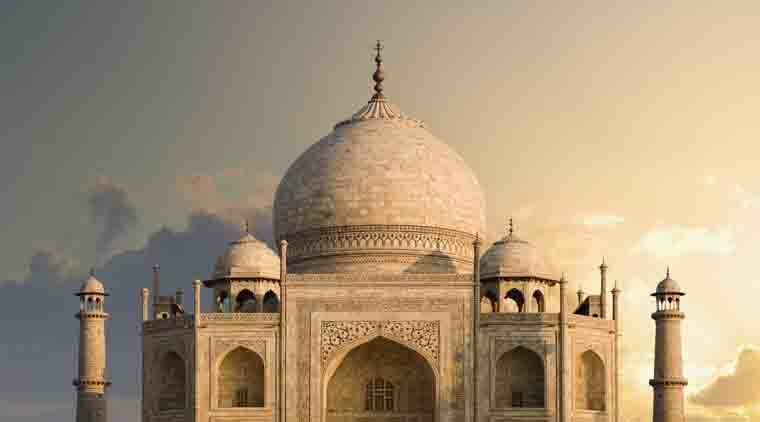 It is home to Taj Mahal, one of the Seven Wonders of the World. 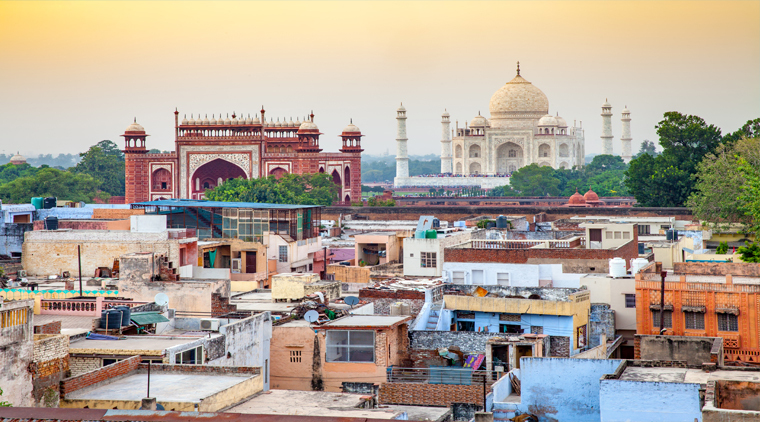 Agra gives one a sneak peek into the architectural history of India. Furthermore, with other structures such as Agra Fort and Fatehpur Sikri, Agra speaks volumes of the country’s rich cultural heritage. Taj Mahal is the symbol of love, which was constructed in pure white marble by Emperor Shahjahan for his wife Mumtaz. 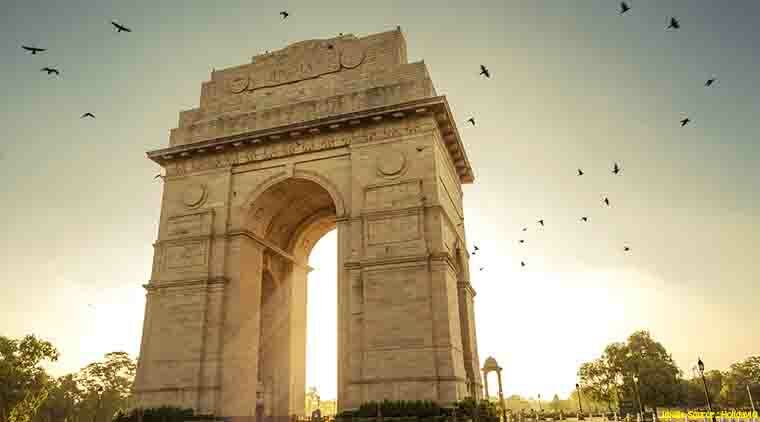 Catch a glimpse of this breathtaking monument while in Agra. The Agra Fort on another hand was once the main residence of the Mughal. It is built purely out of red sandstone. Fatehpur Sikri is also predominantly made of red sandstone. 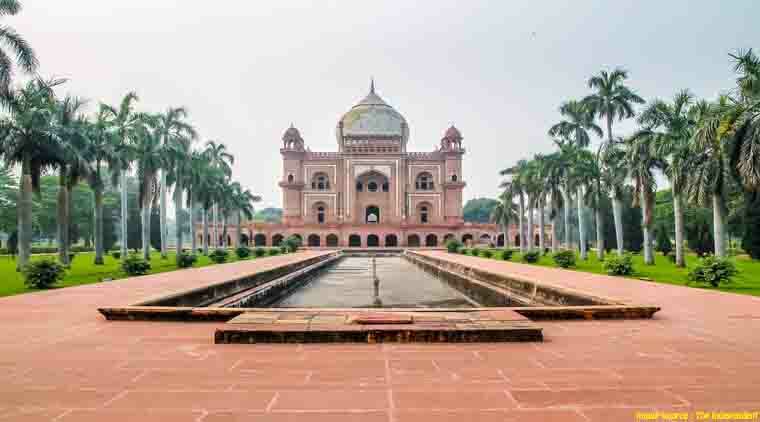 If time permits, visit the historic monuments such as the Jama Mosque- one of the largest mosques in India, Jodha Bai's palace and the Buland Darwaza which is the highest gateway in the world. Head to the hotel after a historically educational day for some well-deserved rest. Post breakfast, leave from Mathura and reach the Delhi airport. Board your flight back home and feel rejuvenated with all the purity and a thick positive aura built around you on your Agra Mathura Vrindavan tour from Delhi. Unwary tourists are easy targets for thieves. These pilgrim places are crowded with devotees from all over the world. Beware of your surroundings and take care of your belongings. The best time to opt for this tour package for Mathura Vrindavan is from October to March. Make sure to try some of the most popular dishes on this Mathura Vrindavan tour package from Delhi. These include Mughalai curries, street food, and chaat. Make sure to squeeze in essentials in your bag like wattle bottles, diaries, travel guidebooks, etc. Public display of affection is not best suited in many parts of Uttar Pradesh. Maintain a code of conduct in public areas. Modest covering for temple visits is a must on this Delhi Mathura Vrindavan tour. Pack a small medical kit containing the essentials like Band-Aids, painkillers, and antihistamines. It always comes handy. Make sure to carry a camera with extra batteries to click and capture images of these holy sites. Most of the hotels and restaurants easily accept electronic money i.e., credit and debit cards. There are also several ATMs that can be easily accessed. We advise you to not carry cash in hand and transact by using ATMcards.